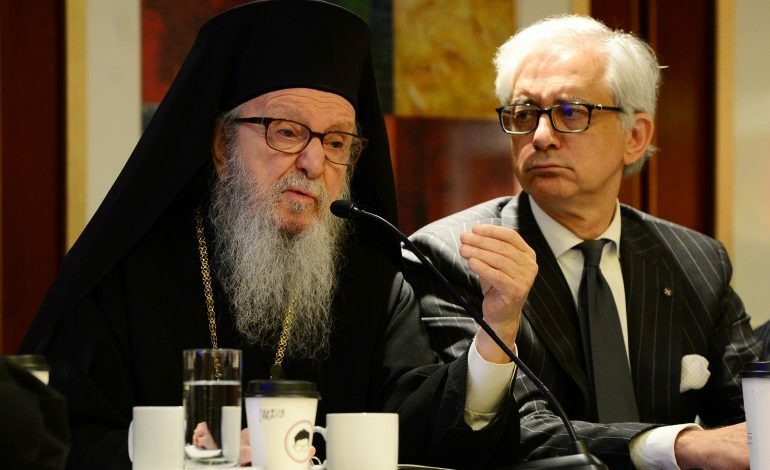 The National Herald in the article has totally misrepresented statements made by the Vice Chairman of the Archdiocesan Council George Tsandikos, in an exclusive interview with Greek News, published on Monday, June 25. The misinformation and allegations of the article have no foundation whatsoever. They are cynical falsehoods using as pretext a recent interview by the Vice-President of the Archdiocesan Council in another Greek American newspaper. That interview provides no basis for the allegations of the “Ethnikos Kirix” (“National Herald”) newspaper and they are simply a continuation of the well known and in every aspect unacceptable tactics which this newspaper has used for many years. As we embark on the 44th Clergy-Laity Congress in Boston in the coming week, the Greek Orthodox Archdiocese and His Eminence Archbishop Demetrios, Geron of America, are steadily and unshakably committed to the service and ministry of the people of God in the United States, under the care and love of the Mother Church, our Ecumenical Patriarchate of Constantinople”.